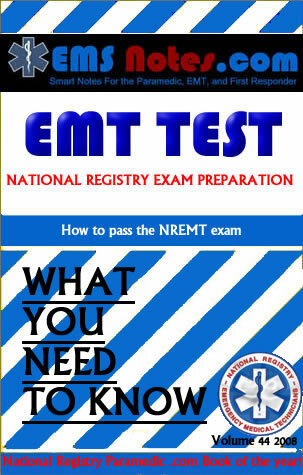 'What you need to know"
Yeah Miss notes has the very best in EMT study guides. If you’re unable to purchase EMS notes.com from this website, then go to Id44.com or MundenInteractive.com. Both of these websites have incorporated most of the questions from these guys into this test. This book will be republished shortly.